Wow, we’ve just reached 53,000 likes on our BERNINA USA Facebook fan page, and that means it’s time for another giveaway! 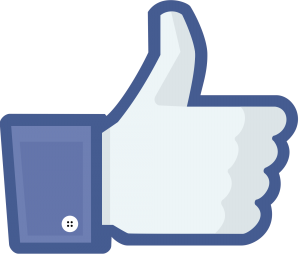 We quickly gained another 1,000 fans to hit 53,000 likes on our Facebook fan page—we love our fans! As a way to say “Thank You!” to all who join us at Facebook to share your love of sewing and creating with us, we are holding a another special giveaway. If you are already a fan of BERNINA USA on Facebook, then you know that we’ve pledged to host a giveaway with a chance to win fun prizes like goody-bags, sewing books and even fabrics right here each and every time we gain another 1,000 likes through the end of 2013! Join in the fun by clicking over to our fan page, Like us, and be sure to keep your eyes open for our next giveaway. What is the next sewing project you plan on making? Sweepstakes Rules: Open to residents of the 50 United States and the District of Columbia. One comment per fan. Comment must be submitted to the WeAllSew.com blog within 24 hours after blog post posting by July 24, 12:00 midnight Central Time. Winner will be chosen randomly. Winner announcement one week after sweepstakes ends. either finish quilt or sew myself a laptop computer case. A wedding quilt in Bear’s Paw pattern. Oh dear…next in the line up? Well, I have one dress and a pair of shorts for my 5 year old cut out and ready to sew. But before I get to those I will probably cut out a doll dress, 1 more dress and a pair of pants for the 5 year old, plus some cute little ruffled Mary Janes for the 3 month niece. I like to do things assembly style. I am going to practice with my embroidery attachment and make a few personalized coasters. Found instructions for an easy to do caftan style dress. I plan on making a placemat in a new quilting class that I’m taking. A robe for me. The fabric is staring at me right now. It was supposed to be done two weeks ago but time got away from me. I plan on trying out a new quilt pattern that I just designed for Blend Fabrics. Love my bernina, its the best machine I have ever owned. I’m making a baby quilt for a sweet little girl. Thanks for an opportunity to win! Some sheath dresses for work, then pajama pants for Christmas! Perhaps you really mean “next projectS” I have a box of them waiting. What has just “bubbled” to the top is my guest bathroom. I’ve gotten a plain fabric shower curtain & 2 sets of towels that will be embellished with embroideries from OESD’s “Garden Song” collection. Love my bernina, its the best machine I have ever owned. I am now making childrens aprons for a craft fair I am doing with my daughter. My daughter and I have also decided to do a mother/daughter challenge where we are both doing a quilt each with a half jelly roll to see what we can come up with. Thanks for such a great product. Just picked up fabric, foam, & batting to make new deck bench cushions. I will be making a quilt for my daughter’s birthday. Then will have to make 3 for weddings and 1 for a new baby due in Jan. I have sewing pillows for our new sofa and chair. My next project is a jacket made of light blue and lilac rayon batik. I haven’t done much garment sewing lately so I’m looking forward to the project. My next project would be working on a quilt that has been on hiatus for sometime. I need to sew a few more squares and then start putting them together. I need to find time…. Some summery shirts for myself. A maxi dress for my upcoming beach trip. I really love the serged tank top. I like when I can make my own and make it fit without gaps, etc. I will be making a window valance for a friend. Baby shower time, receiving blanket, travel changing pad and peepee teepee’s. If you haven’t guessed, its for a baby boy! My next sewing project is a wall hanging for my sister, it features Bill and Floyd, two kitties, in a pumpkin patch. I plan on quilting a tshirt quilt top that I completed last year, but put aside. Definitely have too many unfinished projects! Thanks for another giveaway! I am starting a quilt for my cousin’s wedding shower gift. Thanks for the chance at a giveaway! I am making squares for quilts with my grand children for SUNSHINE 4 ALL . Would love everyone to read about it and contribute quilt squares. Simon Haskins has been diagnosed with this horrible disease and is working on this project.. I am currently working on a throw using 2-1/2″ precuts. The precuts are batiks….and this throw will be quite colorful when complete! My next project is a clutch purse with a chevron fabric. I may make several and give them as Christmas gifts also. Thanks for the giveaway – love fun new fabrics! I am making my wedding dress for my Renaissance themed wedding in November, 2013. Woo Hoo! Hope this is where I am suppose to comment for the sweepstakes. My next sewing project is a quilt for my son and his fiancee. Their wedding is the end of September, and I would like to have it done by then. I am starting on my Christmas gifts early this year – odd – I am usually counting the hours I have left before some of them have to be mailed and doing finishing touches on the ones being hand delivered – on Christmas Eve! I am a glutton for punishment! My next project is a baby quilt! I plan on sewing a couple of blouses, a dress, and several wall hangings…Phew!!!! Working on new bag patterns !!! Designing and working through making samples and then writing up the pattern and directions ! So FUN! I have been gathering fabric for a “big girl” quilt for my Granddaughter who will be 3 in September. But in the meantime, I need to finish a quilt that I started for my son for Christmas of last year! It got put away for a while, but it keeps calling my name! It should be done in just a few days, if nothing more pressing pops up. We all know how that goes! I have been making purses and baby blanket. Can always use more fabric to make these. By the way, love my Bernina and would fight to the death if someone tried to take it away 🙂 But, maybe I’m not kidding so watch out. Storm at Sea quilt — with fish! Then a red, white, and blue quilt. My next sewing project will be a Christmas flannel quilt. Costume pet collars that slide over their own collars for everyday dress-up!!! Pajamas for my 14 month old granddaughter. I’m currently working on some custom dog collars and leashes. After that, I’m planning on making some pincushion canning jars. My next project is a baby quilt entirely made with pin dot fabrics. I have to integrate all of my mother’s sewing things into my sewing room before I can finish my granddaughter’s rag quilt. (The room is currently a MESS!) 60 years of sewing stuff from my mother has to go into my sewing room. I can’t wait to start to use some of her things into my grandchildren’s sewing projects! Lots of baby quilts on my list! I am currently working on a Nautical Quilt created with EQ7 using Timeless Treasure Coastal Mini’s fabrics. That quilt is for my Great Grandson, Isaac. Next will be four little girl baby quilts. A jean jacket vest for my daughter with an embroidery design from a drawing of hers that I dgitized. A jungle quilt for my great-nephews bed! I am making a quilt for myself…finally. I want to make a swoon block quilt, maybe in autumn colors. But I also intend to make new slipcovers for my sofa and a chair so that’s probably next. A courthouse step quilt out of fall colors. I plan to make a smocked baby dress for my new granddaughter. I am going to make my first quilt. My dad passed away in April of 2012 and I am using his dress shirts. Wish me luck. Wow, so many friends! Congratulations! I am going to my sewing room right after this post to start quilting a modern quilt that is layered and ready to go! I will be making a quilt with some fabulous new citron gray fabric! I am the excited new owner of a B780! My next project is a dress for my 2 year old granddaughter with a whale appliqued in the hoop! I am working on cassorole carriers. I’m planning to sew up some sleeveless exercise shirts since the heatwave has really begun to hit the Midwest! a quilt of valor and a vest for me. The next sewing project I plan on making is a 2 hour Tulip Purse. My next project is a sundress while it’s still summer! Making sock owls for my teacher friend to use as rewards for his students. My next project is from the April 2002 American Patchwork and Quilting magazine. It is called Chain of Love. I have just started cutting out the pieces. I must have been crazy or not paying attention when I decided to make this, these pieces are so tiny. They are 1 1/2′. I am doing it in brown, cream, and dark blues. I’m going to start on a fun cat applique quilt. I am going to make a special quilt for my sister who lives in California. I sew on a Bernina 440QE. Hurray! I’m making a bucket hat for my husband and a iPad case for my daughter. I’m planning to sew some neck coolers today. A baby quilt for a friend’s first grandchild. A wedding dress… for someone else. With my Grandmother’s 830 that was purchased in 1976…I will be creating and free-motion-quilting some lunch bags for a friend’s kids and a set of hot pads for a customer. A chevron baby quilt featuring foxes and lots of bright colors! My grandson wants a duvet cover that looks like a referee’s shirt, so I’ll be sewing strips of alternating black & white fabric to make this & matching pillowcases. I plan on making a Christmas tree skirt and stocking for my son and daughter-in-law! My next project is a Block of the Month quilt….I am trying to finish my UFO’s! I’m planning to make a quilt using all Alaskan batiks that I just bought in Anchorage. I am making a tall, skinny paper pieced Christmas tree….and I plan to finish it! I plan on making alphabet blocks for my grandson. Hoping to finish up a tote bag for my Mom! My husband is demanding a bed quilt since I keep giving all my quilts away. He said he’s next in line. Haven’t decided on the pattern yet, but I’m pretty sure it’s going to be Cozy Quilt design. I would love to make a Giant Star quilt using Jeni Baker’s tutorial! Taking a break from quilting to make a Folkwear “Big Sky Riding Skirt” for my granddaughter Katy. It is time for an ABC quilt for the new grandson. planning is on-going and ideas grow! I am going to make a purse with 2 1/2″ strips and batting strips. make a quilt with colors that represents the cancers that my Mom died from. Its been 2 years and I thank it is time to make it. A bag called “The Manager”. Just today, I started working on making some pillows for the couch, using some die cut rectangles. My next project is a T-shirt quilt using my Godson’s Cheer shirts! I’m finishing 6 batik beach bags for an upcoming week with family at a Lake Michigan beach house. Everyone gets one in their favorite colors. Back to school dresses… Yay! I have several UFO’s I am anxious to complete: Tee Shirt Quilt for son; summer top for me; pillow cases to spiff up my room. that will keep me busy and energized for a few days. Weeding Quilt for son and soon to be daughter in law. Next project is a wallet. Now making Mug Rugs for my Sewing Sisters for our annual Sew Sew Retreat in northern New Mexico. Kimono for marionettes for a class project of Japanese folktales. I am going to sew a Doctor Who skirt for my daughter. I plan on making the new SuperTote from Noodlehead….just for me! My next project is the southern Indiana Shop Hop quilt. I’m really excited about it. We had so much fun driving around and meeting the shop owners. My next project is quilting my last UFO. It is a throw size batik quilt. Thanks! Christmas banner that says “BELIEVE” from San Francisco Stitch Co. I will be making a quilt using my circle embroidery attachment. I want to “paint” with designworks to make a new pillow. Something ocean related. Still looking for the proper vector file I want to use. I just started a crazy eights table topper in Halloween fabrics. Am I ahead of the game???? Only if I finish it!!! My next project will be a quilted weekender bag. Thanks for the giveaway! Next projects will be many kitty cat mats embroidered for cat show prizes. I support several show with these handmade gifts in the fall each year. make a laptop computer bag. My next project is making 3 quilts for the three little girls that my cousin just adopted. A butterfly quilt for my wonderful new daughter in law. I am enrolled in the upcoming class at Stitched in Color, so I’ll be making whatever wonderful thing Rachel has dreamed up! I’m so excited! I just got all my fabric to do a quilt–Catch Me If You Can by Jacqelinne deJonge. Cannot wait!! I’m going to make a skirt for my grand daughter & teach her to make a simple skirt. Also I’m going to help someone in my women’s weight training class make a simple wall hanging. My next sewing project — I have 5 yards of midnight navy silk dupioni that is going to become something special for me. I am thinking a jacket/tunic for work and using the various stitches on my B380 to add a bit of pizazz. I also have the Spanish hemstitch attachment so that will add a bit of interest too. Anything left will probably become a straight skirt and hopefully a fun little fluff hat. The hat for my collection the skirt to wear. I will try to remember to post photos as I work on this. The first step is probably the most challenging, altering a pattern to fit. Second is to design the fabric embellishment elements for the tunic/jacket. The stitching is the fun part. I may not be modeling it, but I will take photos of the outfit and hat on my My Double Dressform. Will post as I go along. Thanks for the support and the inspiration of the blog. I’m making a disappearing 9-patch quilt! My next projects are baby shoes and my first solo quilt! I’m re-doing a doll dress for my grandaughter: I managed to sew the yokes wrong. I don’t have more fabric to start over, so I’m ripping and hope that there is not too much fraying since the seams are tiny. Then I have one more outfit of pants and top to finish before mailing to Europe. Baby bibs for my new little one made from old t-shirts and scraps! I have a lot of UFOs to finish but I am currently looking for a new project. My next project is summer pjs for granddaughter and a quilt using the Quilted Village pattern from City Stitchers. I will be making some hair accessories next; next big project is a full size quilt. I’m making a train quilt for my five year old grandson. My next project is embroidered pockets for T-shirts for my daughters teacher group. I really had fun making a wristlet so I plan to make something more – either another one or a bigger bag. My next project is going to be either a little purse and dress for my Granddaughter who has a birthday at the end of August or an Tablet cover for my husband. My next project is a messenger style purse. A wrap skirt and coordinating shirt for the fall season. A couple tablet holders for birthday gifts. I’m having trouble answering your question! I have the beautiful lace skirt I’m finishing for my daughter and I would really like to start on another pair of Tofino lounge pants from Sewaholic, however I’m also building my inventory for my future Etsy store, TitaniumWomanCrafts. Since the proceeds from the sale of any of my items will go to support my niece battling lymphoma, I think the best thing to do would be to work on that. I will be making a lot of gorgeous eye pillows made from marbled silk and cotton fabrics my sister. This is her profession and she was so generous to donate so much of her fabric to me to help support my niece. So, there you have it, I’ll be making eye pillows! A chair cushion for my daughters dorm room! Hi All! I have partial thickness tears of the biceps. I need bicep braces like those tennis elbow braces we all have seen at the pharmacies. I can’t find such a thing. I’m making myself a set, with all the gorgeous trimmings! I’m making them with batting and stabilizer inside so I’m actually putting a small embroidery on the outside. Then I’m using some of the great stitches and doing bobbin work around that. I will quilt the brace this way. I have started this already. LOL I have never done bobbin work before; so, it’s taking me awhile. Still on first one! My next project will be to finish a baby quilt and make a decision about which Bernina machine to add to my sewing gallery. I have a quilt cut and ready to sew and also some bow ties. It is so awesome to be able to sew on a machine that works so well…and not have to stop every two minutes to readjust thread tension, untangle, take apart , rework, etc! Love my Bernina! Bea lives in my sewing room, set up and ready at any time.